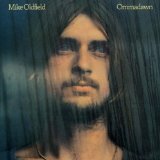 Ommadawn is ranked 2nd best out of 33 albums by Mike Oldfield on BestEverAlbums.com. The best album by Mike Oldfield is Tubular Bells which is ranked number 448 in the list of all-time albums with a total rank score of 6,059. Members who like this album also like: The Dark Side Of The Moon by Pink Floyd, Tubular Bells by Mike Oldfield and Wish You Were Here by Pink Floyd. The tracks on this album have an average rating of 85 out of 100 (all tracks have been rated). Related links: top tracks by Mike Oldfieldtop tracks of the 1970s, top tracks of 1975. Showing latest 5 ratings for this album. | Show all 173 ratings for this album. Related links: top albums of the 1970s, top albums of 1975. My favourite Oldfield album. Side 2 of Tubular Bells began with that jangly, Celtic sounding melody and this album is of course Celtic themed, including the Gaelic singing/chanting in the second half of side 1(though I believe there isn't a lot of meaning behind what's she's saying over and over!). I loved side 1 when I first heard it, the opening/main theme and the big, key-changing, return to the main theme at the end, after the Gaelic chanting. The main theme actually reminds me of the "Romance Theme" from Sergei Prokofiev's Lieutenant Kijé(released in 1934, Sting based his 1985 song "Russians" around the same theme). I'd say side 2 equals or tops side 1 (it doesn't have the main theme of side 1). The finalé is more emotional. And what a great bonus "On Horseback" is, one of Mike's only lead vocals I believe. Not as great as, tubular bells, obviously, but still an enjoyable album. Similar to, bells, in substance, but a more folky Irish feel to the style. Not bad at all. More one track per side early mid 70's multi-instrumentalism from Mr Oldfield, on a par with (perhaps even slighty better than) Tubular Bells, and by me, preferred...just. I love this album, when the mood arises.